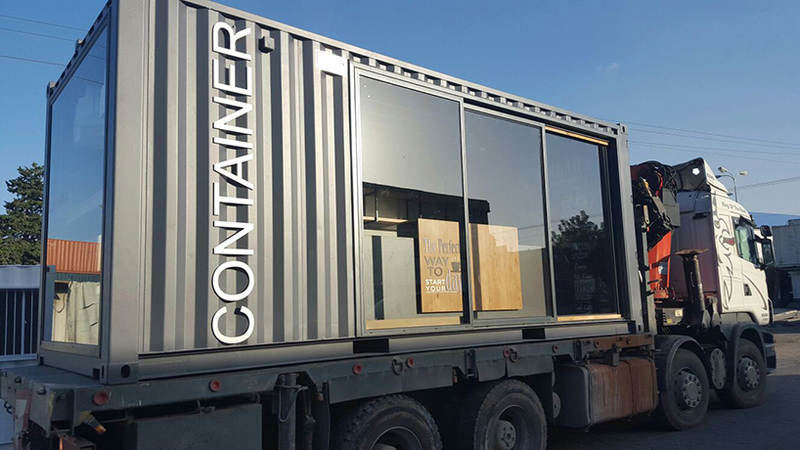 The "Container" – a mobile coffee shop planned and designed by Liat Eliav for a design competition and built in five weeks. 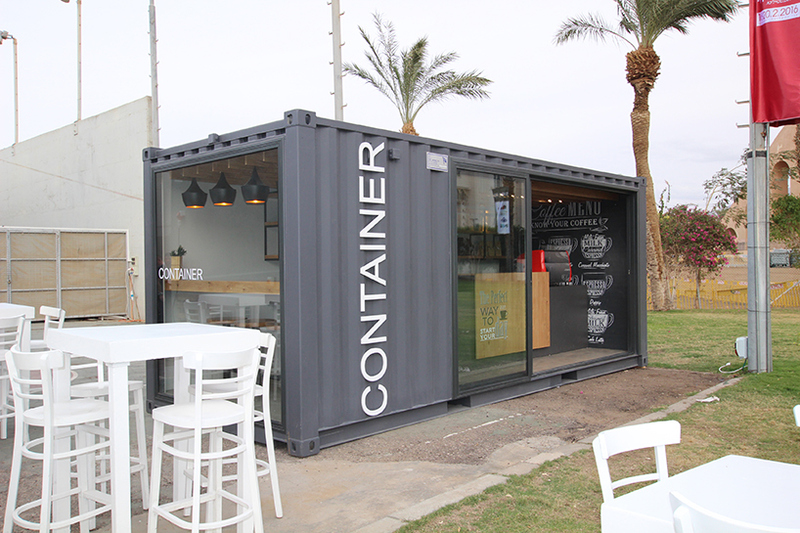 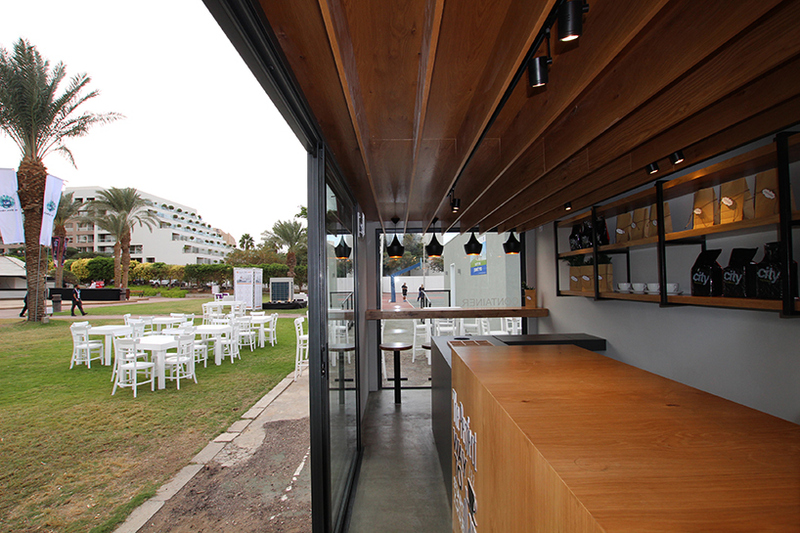 The competition was an initiative of the Israeli Building Center and Gal Marine company to promote the idea of converting commercial containers and residential structures. 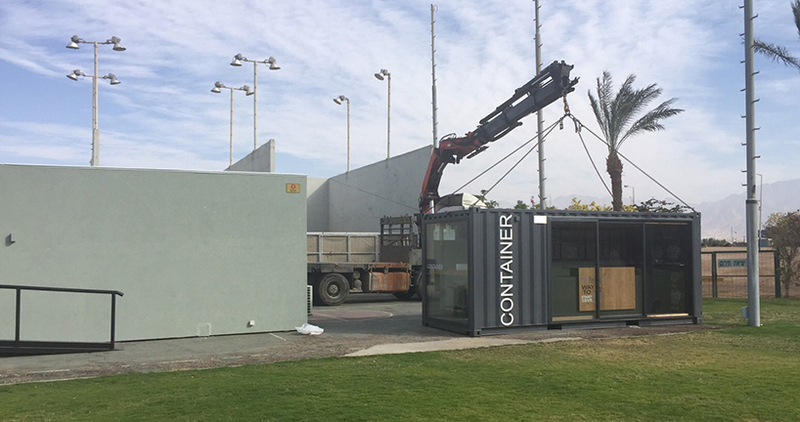 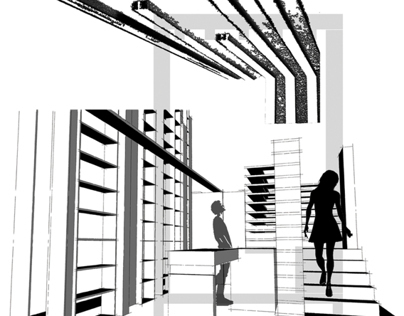 To reuse such a container and to turn into a new construction is a new concept that generates sustainable architecture of what usually becomes an environmental pollutant, when the container has reached its term. 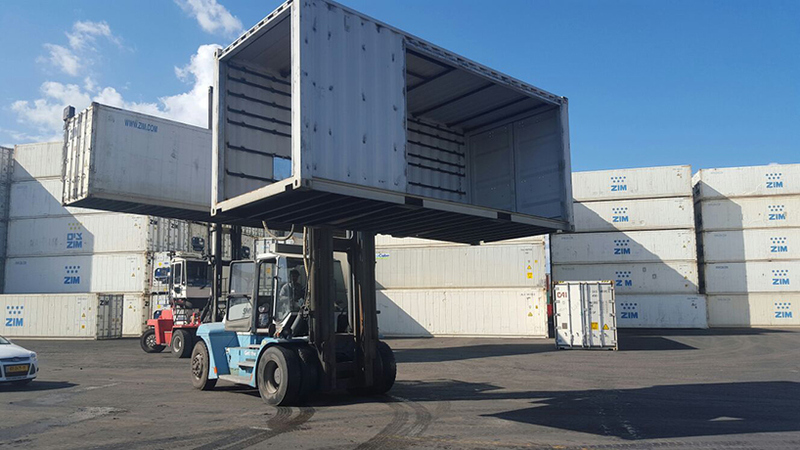 The Container was manufactured at the company's factory in Ashdod and transferred to Eilat, Israel, when it was ready. 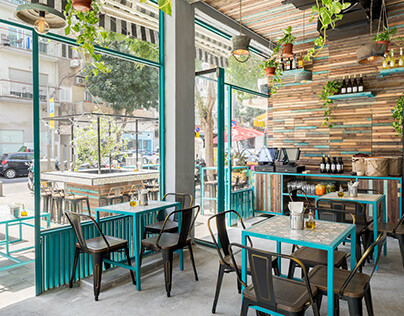 The execution of the construction, which took place at the factory is an excellent example of the possibility of producing houses, cafes, shopping centers and other constructions within a short time relative to the time of conventional construction and with a relatively low budget. 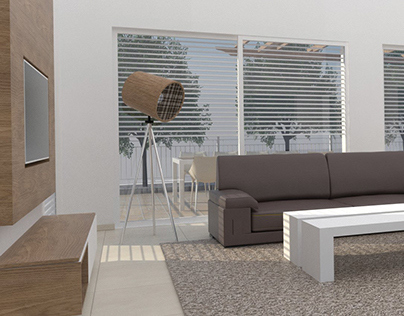 At the same time the construction can be produced with a high level of design. The entire planning was carried out at the factory in a way that allowed its mobility and the possibility for the construction to be placed anywhere, while the only factors to be cared for was the construction’s access to electricity and water only. 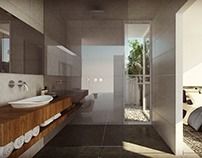 No further work had to be carried out for the construction to reach its full potential. Using transparent doors and large windows to allow the construction to be connected to its external environment and to allow natural day light to enter. 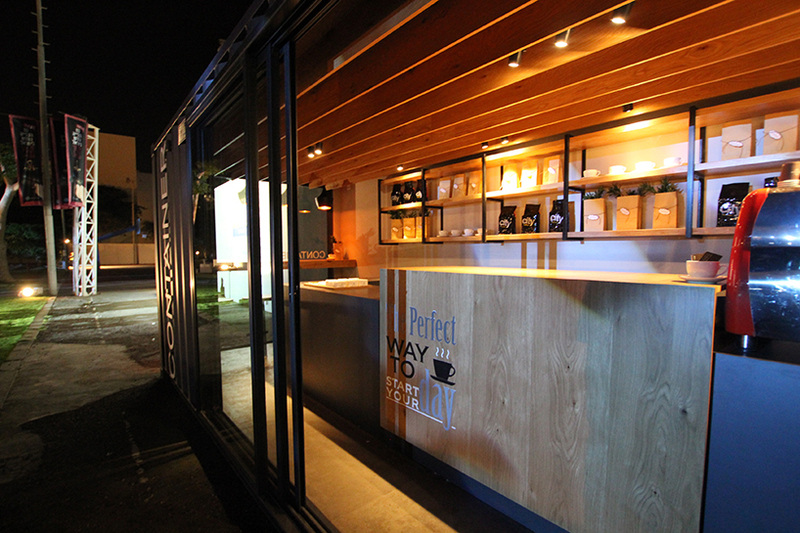 Maximizing a 20-feet container space area for all the needs of a mobile coffee shop. 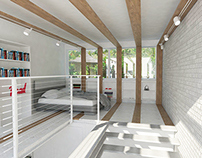 The interior shell covered with drywall and thermal insulation inserted between the layers. 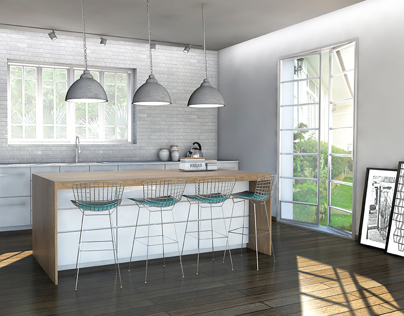 The outer front remains its original iron aesthetics in order to emphasize the look of a clean and modern interior design. 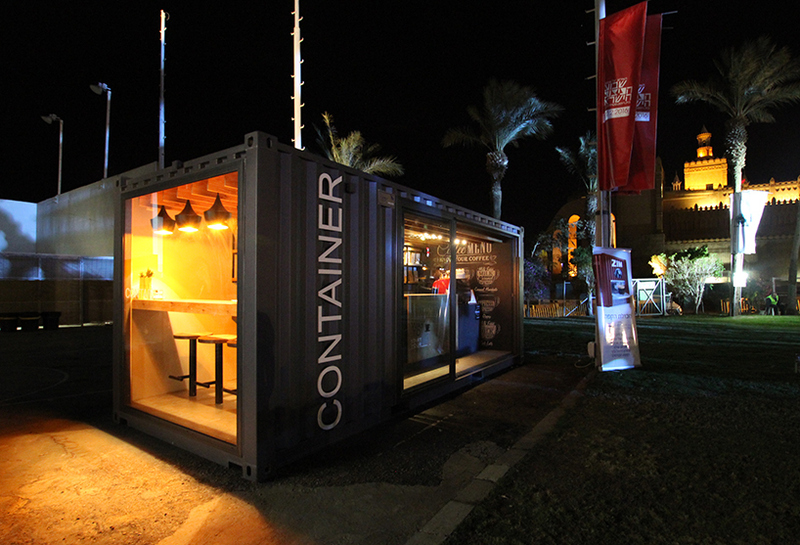 The Container by night in the appearance of lighting box. 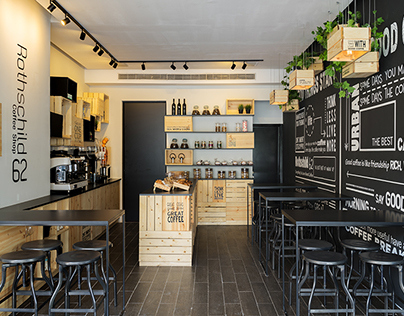 The aim was to create a cozy and intimate coffee shop keeping modern lines by using shades of gray combined with split oak and warm lighting. 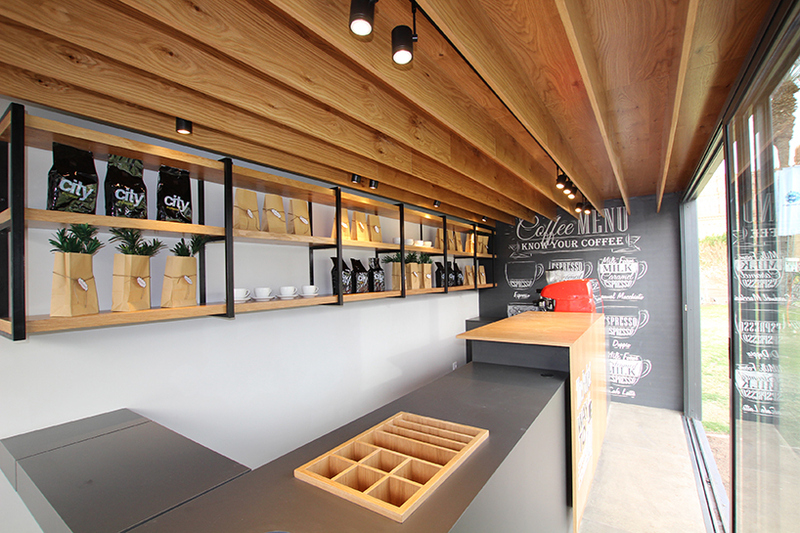 Wooden ceiling built in order to increase the cozy experience. 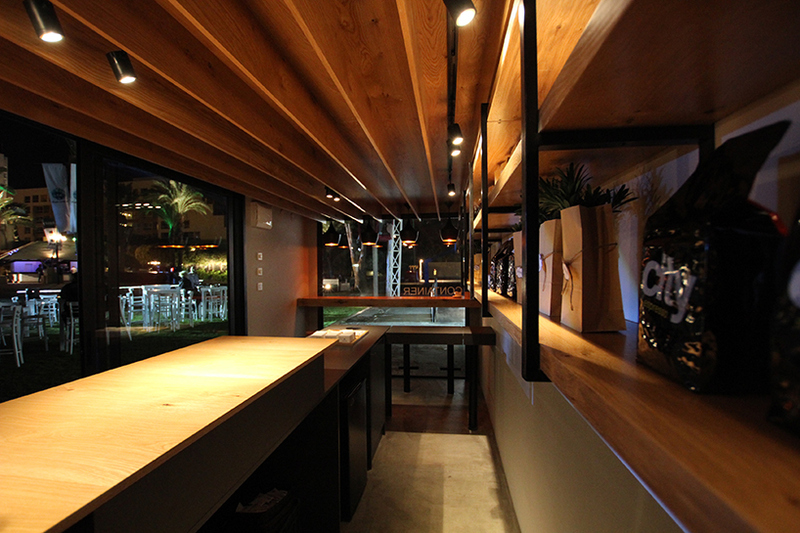 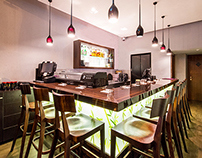 Bar table in front of a transparent elevation. 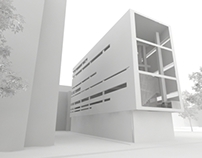 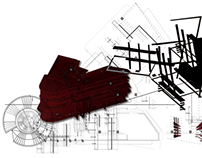 The three-dimensional simulation, which was sent to the competition.